Homeowners on Talahi Island that are looking to enhance their home with a beautiful new kitchen can rely on American Craftsman Renovations for the best kitchen renovation or remodeling services. 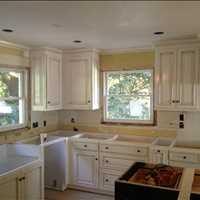 We can help create a fresh new look with new paint, new countertops, and a new backsplash. If you prefer to create an entirely new kitchen, we can help you come up with your new design, installing new custom cabinetry, a walk-in pantry, and an eat-at Island.